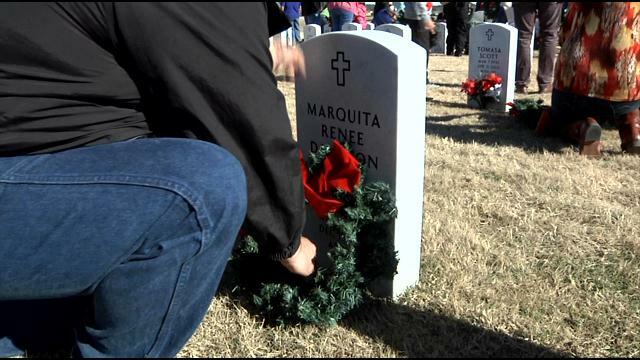 (KCEN | Matt Reed)—They served our country honorably, many ended up paying the ultimate price. But Saturday morning the Central Texas community got to say thank you. Thousands of people gathered at the Central Texas State Veterans Cemetery to lay wreaths on the graves of the over 5000 men and woman who are buried there.